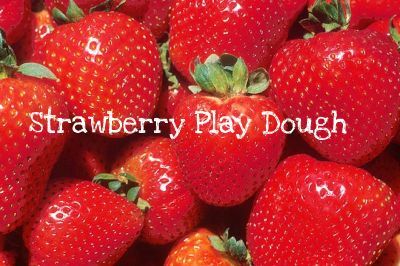 Strawberry scented play dough is a great sensory activity for kids. You can replace the strawberry drink mix with any scent you would like to try. 1. In large mixing bowl combine flour, salt, drink mix. 3. Continue mixing until well combined. 4. Once it cools enough to be handled, knead until well blended. berry theme week. Want more them ideas? Check out the weekly theme section.